Swedish Weaving is relaxing and easy to learn. 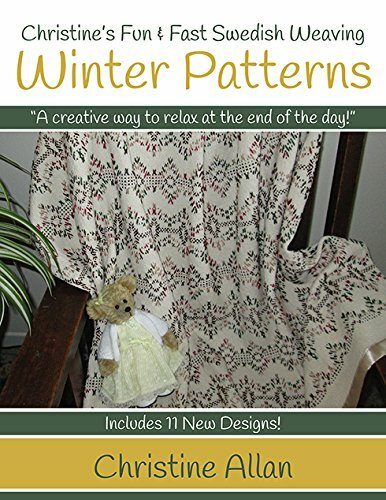 Fun to do for all ages and you can make afghans, table runners to pillows. It's a creative way to relax at the end of the day. Swedish Weaving is becoming the new craft of choice and I am bringing it back with a modern twist. If you have any questions about this product by Christine's Fun & Fast, contact us by completing and submitting the form below. If you are looking for a specif part number, please include it with your message.